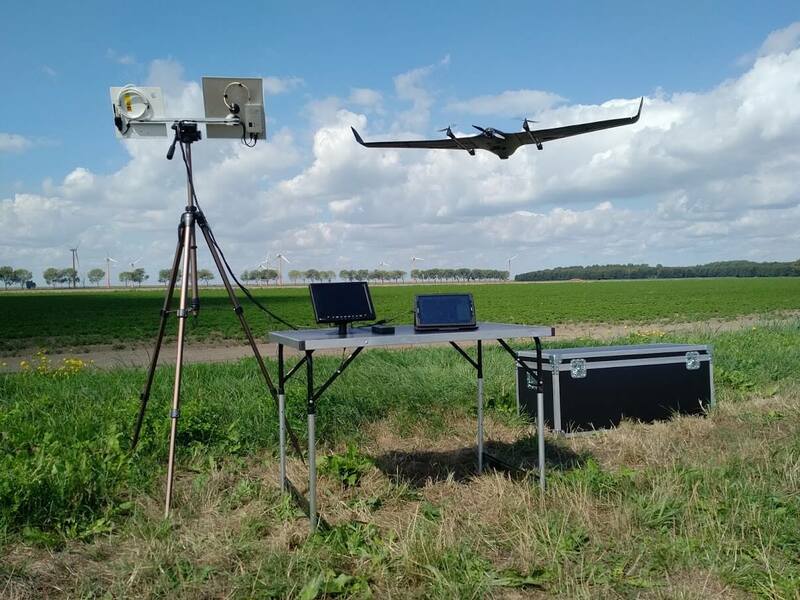 The DeltaQuad offers several data and video transmission systems, ranging from easy to deploy 10KM ground setups to 30KM digital video and telemetry systems. The standard data transmission system is based on the industry standard RFD900X 1 Watt transmitter. A DeltaQuad equipped with this system has dual high gain antennas embedded in the wing and wingtip for optimal range and diversity. For HD digital video transmission the DeltaQuad can be equipped with a high quality 1.5 Watt COFDM transmission system with HD video and telemetry ranges up to 30KM. 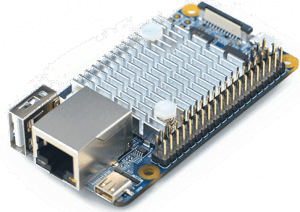 The basic ground data radio is based on the RFD900X 1 Watt radio modem with 3dBi and 5dBi diversity antennas. With its small form factor it is easy to deploy and will fit inside the DeltaQuad flightcase. The ground unit offers up to 10KM data connectivity. 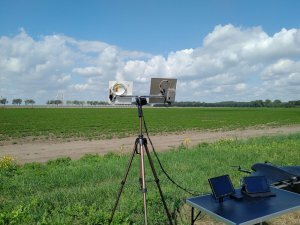 When the DeltaQuad is equipped with the 1.2/1.3Ghz video transmission system, the 10KM omnidirectional ground video link can be used as the basic ground video link. The system uses TrueRC circular polarized mushroom antennas in both the vehicles wing and the ground receiver. 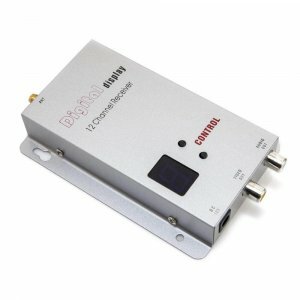 The extremely high quality antennas from Canada provide up to 10KM video link. With its compact size the video receiver fits comfortably in the DeltaQuad flight case together with the 10KM data link. The DeltaQuad 900Mhz data link and 1.3Ghz video receiver are available with tripod mounted directional panel antennas. Either as individual setups or in a combined setup. The panels have a 60 degree field of view, indicating that that should be pointing towards the vehicle within a 60 degree angle if the vehicle is further then 2 kilometers away from the ground station. The tripod and panel array folds down to a compact size for transport and is easy and tool-less to deploy. The Suntor COFDM HD transmission system provides a digital 2.4Ghz multiband link that can be used to transmit both data and HD video. The omnidirectional ground antenna is mounted on a tripod that can extend up 4m in the air. The exceptional noise filtering methods and 1.5Watt transmit power provide up to 30KM HD video and telemetry. The antenna and tripod system fold down to a compact size for easy transport, and field assembly is tool-less and easy. 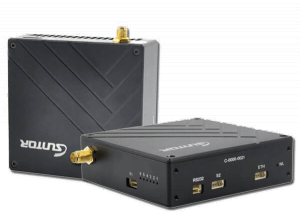 Uniquely designed for the DeltaQuad UAV, the 3G data link and 4G video link using the mobile network removes the range limitation from your system. 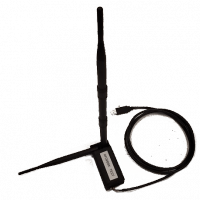 The connection is setup via a secured VPN between the UAV and one or more ground/video control stations. The data link can be used in simultaneously with our radio transmission systems for a full redundant command & control link. The system comes with a quad-band 4G/LTE usb dongle that fits a standard size sim-card available from your provider. The onboard computer handling the connection is compatible with several alternative dongles for networks outside the band of the supplied dongle. When outfitting your DeltaQuad Pro, #MAP or #INSPECT with the 4G telemetry system it comes standard with a nose camera that streams ‘skype quality’ video to the ground control station. The DeltaQuad Pro #VIEW with Surveillance package 3 can be configured to transmit its HD and thermal video over the 4G network. Want to know more about the DeltaQuad data and video transmission systems? We are happy to talk to you. You can speak directly to our specialists without any obligations.